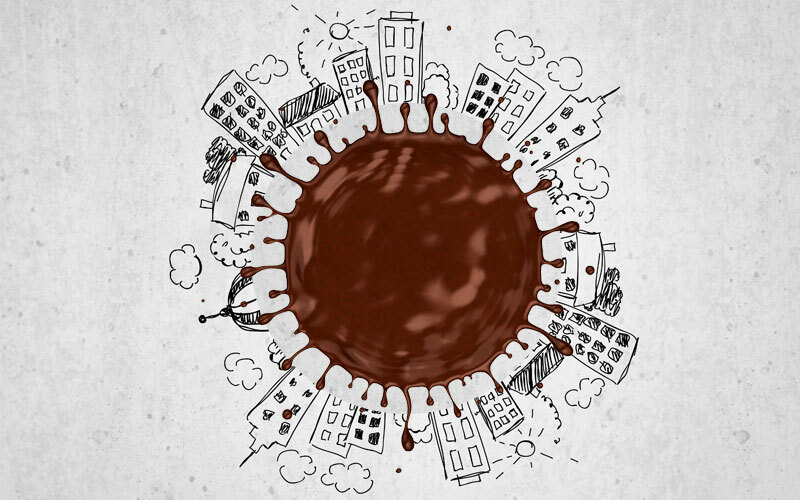 Lome – Organic, fair trade chocolate has proved popular in recent years, especially with ethically minded Western consumers keen to give cocoa farmers around the world a better deal. In Togo a small cooperative has embraced the idea but also stumbled upon a unique selling point in a tropical country where access to refrigerators is limited — heat-resistant chocolate. “It doesn’t melt up to 35 degrees (Celsius, 95 degrees Fahrenheit),” said Komi Agbokou, who promotes the “Choco Togo” brand made from locally grown cocoa beans. With bars containing between 60 and 100 percent cocoa, the rough texture makes it perfect for households without fridges and market stallholders wanting to sell it, he added. Togo produces some 10,000 tonnes of cocoa beans every year, making it a relative lightweight compared with neighbouring Ghana or Ivory Coast, which make up nearly 60 percent of world output. “As we can’t compete with Ivory Coast and Ghana in terms of quantity, we can only bet on quality,” smiled Kodjovi Mgbayom, from Togo’s coffee and cocoa sector workers body. Togolese cocoa has a “special aroma due to the soil and the fact that everything is done by hand. Drying is done in the sun. There aren’t any machine fumes here”, he added. There is nothing to single out Togo’s cocoa from regional competitors or the more sought-after Latin American beans, Michel Barrel, from French cocoa consultancy KawaCao, told AFP. But Togo’s cocoa farmers have looked to organic farming and to obtaining fair-trade labels to give added value to their product, he said. “Togo has been growing cocoa for more than 120 years but we only export it. Cocoa farmers don’t even know the taste of chocolate,” said Agbokou. Anyone wanting to actually eat chocolate had to go to a supermarket to buy an expensive, imported bar containing sometimes less than 30 percent cocoa, he added. But now beans grown by 1,500 small farmers in the Akebou region in Togo’s southwest are being shelled by about 40 local women, and then transformed into chocolate bars in the capital, Lome. The 80-gram bars are sold for 1,000 CFA francs ($1.70, 1.50 euros) in shops. Agbokou is a trained psychologist and fell into chocolate by chance. His initial idea was to create opportunities in a labour market that was increasingly hard to access. Through his non-governmental organisation, European Union funding and the backing of an Italian cooperative, six unemployed young people were chosen in 2013 to go on a chocolate making course. On their return to Togo from Italy, they started producing 100 percent Togolese chocolate. Now a dozen employees are paid by the hour to transform cocoa into heat resistant chocolate at the cooperative’s premises in Lome, with a single, hand-cranked, locally made cocoa roaster. One tonne of chocolate was made in 2015 but production has accelerated since then, with more than two tonnes in the first quarter of 2016. “Choco Togo” gets its supplies of cocoa solely from Akebou, where the cocoa is organic and certified by Ecocert and the Rainforest Alliance. The international organisations ensure that production meets rigorous environmental and social standards. As the cocoa is transformed on the spot, transport costs are kept to a minimum and the farmers are better paid, said Mgbayom. Then, they see the chocolate bars produced with their beans, he added. “Choco Togo” also uses the farmers’ wives to shell the beans, giving local families extra income. The small chocolate bars, wrapped in kraft paper and available in natural, ginger, peanut or coconut flavours, have been shown in Milan and at the last chocolate trade fair in Brussels in February. So far, it seems to have gone down well, according to head of production Nathalie Kpante. “We left for Brussels with 60 kilogrammes (132 pounds) of heat resistant chocolate and all the stock was gone on the first day,” she said proudly.